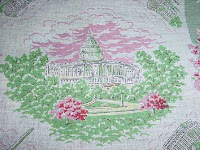 Recently added this vintage Washington DC handkerchief to my website. Perfect for election year! The colors are actually much prettir in person. 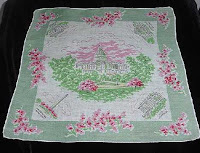 Hanky is a lovley soft green and pink!